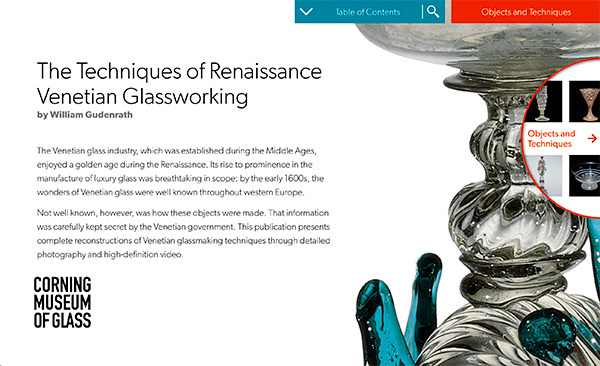 The history of Venetian-style glass in Austria is particularly interesting, for at least three reasons. First, it was one of two places where Venetian-style furnaces and Venetian artisans could work outside Murano legally and under the authority of La Serenissima, the Republic of Venice (the other was Florence). Second, the most influential and highest-ranking regional aristocrat, Ferdinand II (1529–1595; Fig. 22), is known to have been an enthusiastic collector of natural and man-made wonders—including glass—and may himself have been an amateur glassblower (see Ferdinand II Beaker). Third, the sheer duration of commitment to Venetian-style glass is noteworthy. The list of Austrian glasshouses, just up to the late 16th century, is impressive: Vienna (1486), Laibach (1517), Hall (1534), and Innsbruck (1570). Painting of Ferdinand II of Austria. Austria, Rudolfinische Hofkunst (? ), about 1614. With frame: H. 147.5 cm, W. 112.5 cm. Kunsthistorisches Museum Vienna, Gemäldegalerie (inv. no. 3407). Photo: KHM-Museumsverband. This beaker was made in five steps: (1) the cup was started, (2) another bubble of glass was added to the base of the cup, (3) the second bubble was opened to form the foot, (4) a punty (pontil) was attached to the base, and the cup was broken free of the blowpipe, and (5) the rim was created. In nearly all of the other footed vessels of that time and place, the foot was attached cleanly to the sharply flattened base of a cylinder. In the Ferdinand Beaker, however, the lowermost part of the cylinder tapers and becomes rounded near the place where the foot was attached. Was this an aesthetically driven choice, or was it a sign of technical insufficiency (a lack of the necessary skill) on the part of the maker? If the latter supposition is correct, it might help to support the legend that the beaker was made by Ferdinand II himself. Certainly the most challenging part of the process in making such an object is achieving a smooth seam at the juncture of the vessel and the foot. If Ferdinand made this beaker, perhaps his skills were not quite up to such a difficult challenge. Nearly all Venetian and Venetian-style blown glass was made by what is sometimes called “free blowing.” Aside from the obligatory blowpipes and punties, objects were fashioned with the simplest of hand tools, using little more than air pressure, gravity, centrifugal force, and the like. The stem of the Vasenpokal is an exception; it is an example of “full-size mold blowing.” With this technique, the inflated glass is given its final shape and decoration almost instantly. This is distinct from the other type of mold blowing in Venetian and Venetian-style glass: dip molding, in which the glass is further inflated and shaped after the mold is used. The process can be seen in the video Serpent Chalice at time bars 2:33-2:48 and 5:38-6:39. The mold shown in the video was made and kindly supplied by David Hill of Andover, England. Over decades of research and practical experimentation with his colleague Mark Taylor, he has tentatively concluded that the mold material used at the time the Vasenpokal was made was probably terra-cotta, lightly coated with soot.25 If the mold blowing is executed quickly enough, the glass is sufficiently hot to stick to the adjacent stem element and make a strong join when it comes out of the mold. The decoration of this Vasenpokal is commonly referred to as diamond-point engraving. Although a chip of any stone significantly harder than glass, mounted in a handle, can be used to create scratches, the diamond has the advantage of never dulling. This example of a glass boot is decorated with cold painting and cold gilding. As can be seen in the photograph, the decoration, although it may have been restored at some point, is in the process of chipping and peeling away. This type of decoration on glass can never be made permanent: the surface is too smooth for the typical kind of adhesion that takes place (whatever the medium) between paint and the surface of a canvas, paper, vellum, or similar material. Engraving believed to show Duke Ferdinand II flameworking. Rakow Research Library, The Corning Museum of Glass (121962).